The winner of Campaign US' "Fearless Thinker" contest considers the koan, "Data: as familiar as air and water"
CANNES — It’s Day Two here on the French Riviera, and the Cannes Lions International Festival of Creativity is in full swing. The crowd of 30,000 attendees has swelled alongside the already busy tourist town. Temperatures stretched into the high 80s, but the ever-present sea breeze helped keep everyone cool. As I strolled along the Boulevard de la Croisette Monday morning, I couldn’t help but be overwhelmed with the volume of B2B brands in attendance. It seems everywhere you turn there’s another vendor’s booth, branded party or representative keen on passing along a value prop of adaptation, acceleration and automation. 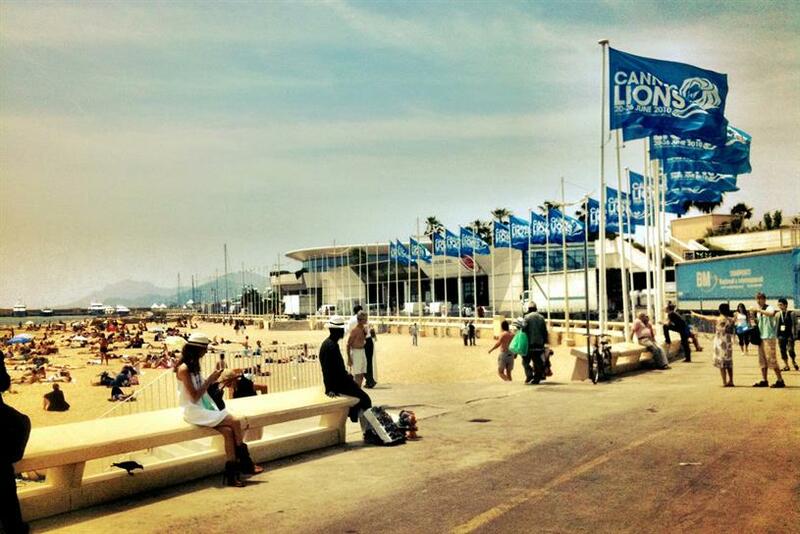 I spoke with a few colleagues about this and believe that this year at Cannes is a unique one: At the world’s most celebrated festival of advertising the majority of the marketing and selling is not about to consumers, but instead businesses and agencies. Continuing the data discussion, at 2pm I was lucky to get a seat in a packed house for Dentsu Aegis Global Planning Director Koichi Yamamoto’s talk on the subject of data and creativity. (Full disclosure: I work as an Innovation Strategist at 360i, an agency in Dentsu Ageis’ network.) Koichi talked about the increasing overlap of data and creativity in our world and reinforced the fact that the two can no longer sit in mutually exclusive spaces for brands and agencies. "Data: as familiar as air and water," he said as he explained that in 2014, more than 700 gigabites of data were created for each of Earth’s 7 billion people and that 90% of the world’s data has been created in the past two years. He cited wearables and sensors in the march towards the IoT (Internet of Things) as the major contributors to the explosion of data. "Data makes marketing better and more efficient and effective and easier to manage, bus is that all data can do? Can it not also enrich creative? That’s what we aspire to do" he said to the standing-room only crowd. He outlined over a dozen examples to illustrate that point, including: Lev Manovich’s ‘On Broadway’ that compiles and aggregates social data around Manhattan’s Broadway corridor; Jonathan Harris’ ‘We Feel Fine’ project; and Dentsu’s activation that won it the Titanium Grand Prix last year, their Honda activation that recreated late racing driver Ayrton Senna’s fastest lap using lights and sounds. "What this work shows is that data is the new medium, a new medium to creative mesmerizing stories – data is not just for creating efficiencies, it can be a new creative medium for making content." After waxing about the impending rise of artificial intelligence, he rounded out the talk by noting that while there are already toolsets that automate writing copy or designing websites, that he strongly believes that humans will always be the future of creativity: "AI can take you down a path but only the human brain has the capacity to imagine." Five years ago, I was torn between pursuing an MBA or attending VCU Brandcenter’s Creative Technology track. Ultimately, I went with my instinct and chose to pursue my passions of marketing and technology. Today, I realized how lucky I was to have made that decision. The future is never easy to predict, but if the data from here at Cannes 2015 is any evidence, it will be powered equally by both human and digital minds. Fitz Maro is innovation strategist with 360i and winner of Campaign US’ "Fearless Thinker" contest. Poll: Which US ads will win big at Cannes this year?